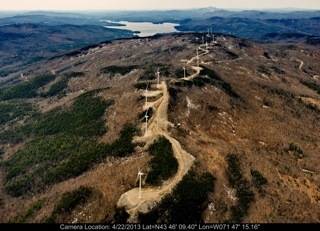 We read today that Iberdrola now says the company won’t be able to decide what to do in Windham until sometime in 2014 (“No Windham wind decision this year,” June 20). It might seem odd to the land owners that this information is of no comfort to many of us in Windham who dread the unilateral decisions of them and their powerful wind developers. In April, when Windham leaders and residents met with the developers, we found they were unaware of why Windham’s Town Plan, its leadership, and a majority of its property owners oppose industrial wind in Windham. Our Town Plan represents the culmination of intensive study of both wind power in general and siting in our town in particular. Windham is likely the most inappropriate site for utility-scale wind in the state: 69 percent of Windham homes are located within a mile of the proposed site, which is home to the headwaters of the Saxtons River and riddled with wetlands and steams. The site is shadowed by Glebe Mountain, with a gusty and variable wind resource. It includes many slopes that exceed 25 percent grade; denuding and covering these slopes with impermeable surfaces would contribute to storm water run-off that could not be contained in banks or by culverts. Erosion and downstream flooding would cause suffering to our town and other downstream communities, including Grafton. The developers began the project in secrecy, triggering deep distrust in the community. They continue to hide their ideas about the project behind a veil of mystification. Like any targeted community, we can use mapping technology to determine where the developer would have to place roads and turbines, and what probable effects would ensue for surrounding properties and roads. What is truly mystifying is that the land owners and the developer insist that this information doesn’t exist. Although the land owners claim that they are in command of this project, Iberdrola has served as your mouthpiece and has demonstrated a cavalier attitude toward the community. Jenny Briot, Iberdrola’s most consistent presence among us, stated in the Reformer a year ago (months before MET towers were permitted or installed on the SBT) that Iberdrola would know whether the project could proceed by Spring of 2013. Her statement appeared to confirm our fears: MET towers are just window dressing and the decision to proceed had already been made, given that wind measurements must be conducted for at least two years to provide meaningful data. Interestingly, Iberdrola has now backtracked on Briot’s earlier statement. The secrecy, stonewalling and stubborn disregard for the town’s residents have created conditions that make it difficult for individuals to plan, sell property, or imagine our futures; many of us have come to think of the land owners as a cruel and unjust neighbor. It is likely that the Windham community, which supports renewable energy and has a history of reasonable behavior, would have responded differently to a respectful approach, one that made our concerns part of the discussion from the beginning.